One of the relatively rarely talked about but extremely interesting stories about the Grand Ducal Family is that of the Counts of Merenberg. Never heard of them? 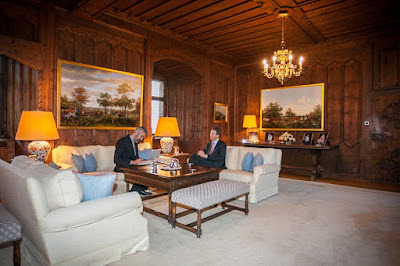 They are a morganatic branch of the Nassau-Weilburg family, the rulers of Luxembourg since 1890. Had history gone just a tad differently (or rather, had Luxembourg's parliament decided differently), it might have even been the Merenbergs who'd succeeded to the Grand Duchy's throne about 100 years ago. The name "Merenberg" originally comes from the Burg Merenberg located near Weilburg an der Lahn in what today is Germany. The castle and a number of estates in the area were once owned by a noble family by the same name. When they died out in male line in 1328, their estates passed to the Walram line of the House of Nassau. In fact, Grand Duke Henri also holds the title Lord of Merenberg in addition to 14 other ones. 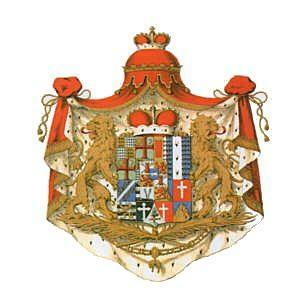 Today, however, we will talk about other Merenbergs, the descendants of Prince Nikolaus Wilhelm of Nassau. Prince Nikolaus Wilhelm, or simply "Niclas" to his family, was the younger half-brother of Grand Duke Adolph, great-great-grandfather of Grand Duke Henri. In 1856, it was Prince Nikolaus who represented the Duchy of Nassau, then reigned by his older brother, at the coronation of Tsar Alexander II in St. Petersburg. While in Russia, he first met Natalia Alexandrovna Pushkina, the daughter of a very famous father, Russian poet Alexander Pushkin. At the time she was newly married to General Mikhail Leontievich von Dubelt. The couple had three children though their marriage was considered an unhappy one. The contact between Prince Nikolaus and Natalia seems to have either never stopped or seen a resurge at some point in time as starting in 1862, she tried to get a divorce from her first husband. After a few years of struggles, the divorce was allegedly granted on May 18, 1868, after she had left her family a year earlier after she was allowed to separate from her husband. As Natalia though never seems to have provided a divorce certificate, some say she never actually got divorced from her first husband. In any way, only a few weeks later, on July 1, she married Prince Nikolaus in London, and as Natalia came from the lower nobility, their marriage was considered a morganatic one. At the time, the Prince and his Russian wife already had a daughter, Sophie, who was born about a month prior on June 1, 1868. After the wedding, Prince Georg Victor of Waldeck und Pyrmont, brother-in-law of Nikolaus, created the title of Countess of Merenberg for Natalia. The title, which was also confirmed by the Prussians in 1881, was also a hereditary one for their children. Nikolaus Wilhelm and Natalia had another two children, Alexandra (*1869) and Georg (*1871). After the Duchy of Nassau had been annexed by Prussia a few decades earlier, Nikolaus' older brother, Adolph, became Grand Duke of Luxembourg in 1890. After marrying in 1893, Adolph's son, the future Grand Duke Wilhelm IV, had only fathered four daughters until the turn of the 20th century and so there were fears that Adolph's line of the Nassau-Weilburg family was about to die out in male line. At the time, females were only allowed to inherit the Luxembourg throne when there were no male members of the Nassau family left alive and so Nikolaus Wilhelm started to make his claim to the grand ducal throne vocal. He already declared at the time, that he would give up any right to the throne of the Grand Duchy if his brother Adolph would relinquish the title of Duke of Nassau to him and his descendants. However, Grand Duke Adolph couldn't bear the thought that this old and grand title would go to a morganatic branch of the family, even at the risk of also losing the Luxembourg throne and against the advice of his ministers, like Minister of State Paul Eyschen. Instead, Grand Duke Adolph insisted that "fate will make the decision" and so it did. Prince Nikolaus Wilhelm died on September 17, 1905, three days before his 73 birthday; Grand Duke Adolph died eight weeks later on November 17, 1905, at the age of 88. However, what became known as the "Merenberg affair" was far from over with the deaths of the two (half-)brothers. Nikolaus Wilhelm's son Georg followed in his father's footsteps claiming the Luxembourgish throne. His cousin, Grand Duke Wilhelm IV, had six daughters and was in ill health meaning that a male heir seemed out of question. At the time, there were three officially legal opinions by distinguished scholars. Two of them stated that Count Georg of Merenberg had no right to the grand ducal crown as his parents' marriage was both not equal and lacked the consent of the then head of the House of Nassau, Adolph, and was thus a morganatic one. This stance was also supported by Luxembourg's government and the Council of State. A third legal opinion, however, argued that as the last male descendant, Count Georg's claim to the throne was a stronger one than that of his female cousins born of an equal and approved marriage. Count Georg gathered some support for his claim to Luxembourg's throne with the Socialist members of the Grand Duchy's parliament, though they probably only wished to weaken the monarchy as they preferred no Grand Duke at all. He also filed a suit with German courts in Wiesbaden for the right of disposition of the Nassauisches Hausvermögen, the assets of the Nassau family. Meanwhile, his cousin Grand Duke Wilhelm made efforts to ensure the succession to the throne for his own descendants. He drew up changes to the Nassau house law and also made sure to tie the family's assets to the grand ducal crown. On July 5, 1907, with 41 to 7 votes, the Chamber of Deputies voted in favour of the proposed changes meaning that only descendants of Grand Duke Wilhelm IV could inherit the Luxembourgish throne. Having lost this battle, Count Georg also abandoned his lawsuit in Germany shortly thereafter. However, he didn't come away empty-handed as he received a yearly pension of 40,000 Goldmark. A few days ago, just before Christmas, we branched out a little in our coverage of the Princely Family to include a TV show featuring Prince Emanuel, his wife Princess Sonja and their three children, who live in Austria. Due to the continued great interest in said post, we thought it would be a good time to have a closer look at their home, the Riegersburg. 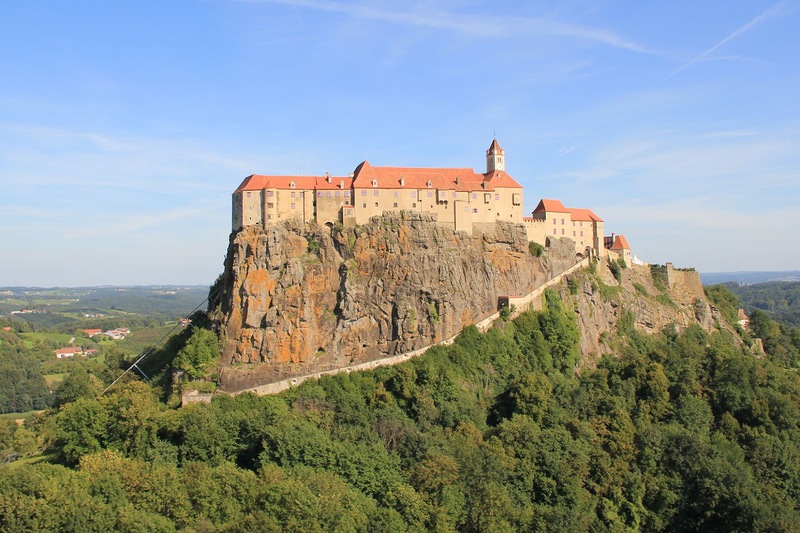 Situated on top of a 482 metre high dormant volcano in the Austrian state of Styria, the Riegersburg was once considered to be the "strongest fortress of Christianity". Firstly mentioned in 1122, the Riegersburg has been owned by the Princely Family since 1822, when it was purchased by Prince Johann I. And while the known history of the castle goes back almost 900 years, it is believed that people have been living on the same site for more than 6000 years. Already since the 7th century, a refuge was situated in the same place though the first parts of today's fortress were likely built around the year 1100. The Riegersburg takes its name from Rüdiger of Hohenberg and was first known as Ruotkerspurch, Burg (castle) of Rüdiger. Over the following centuries the castle had a lot of different owners, but only few of them played an important role. 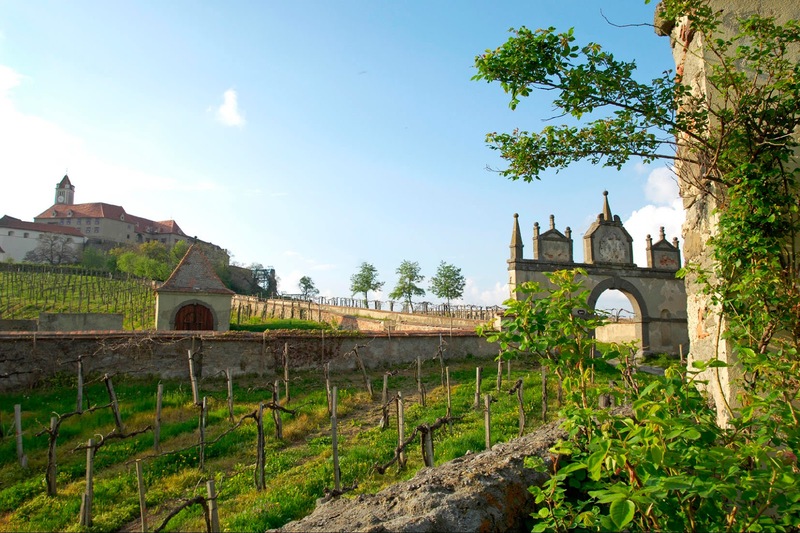 It was not until Baroness Katharina Elisabeth of Galler, born Baroness of Wechsler, took control of the estate in the 17th century that the castle gained its current identity. When her uncle Baron Sigismund died in 1648, and with him the male line of the Wechsler family, Baroness Katharina Elisabeth, known as "the Gallerin", inherited the Riegersburg. 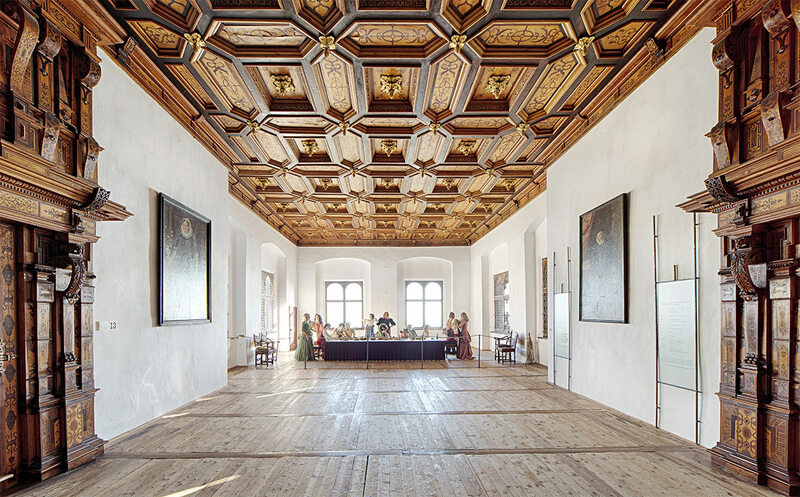 In the following years, she had great extentions made to the castle's fortifications, making it one of the biggest and strongest castles in all of Austria. The Gallerin, also known as "das schlimme Liesl" (wicked Liz) was one of the best known personalities of 17th century Styria. She was married three times and kept her first husband away from her inheritance by paying him 15,000 guilder. While her second husband died in battle, she divorced her third one, something highly unusual at the time. She was in constant conflict with many of her neighbours and especially the clergy. Once, she even held a sermon citing her right of patronage. These days, you would probably simply call her an emancipated woman - back then, she was feared by many for her strong opinions. Via her only daughter Regina, who was married to Baron Johann Ernst Count of Purgstall, the Riegersburg then passed to the countly Purgstall family. It was Regina's husband who had the castle's fortifications finished. 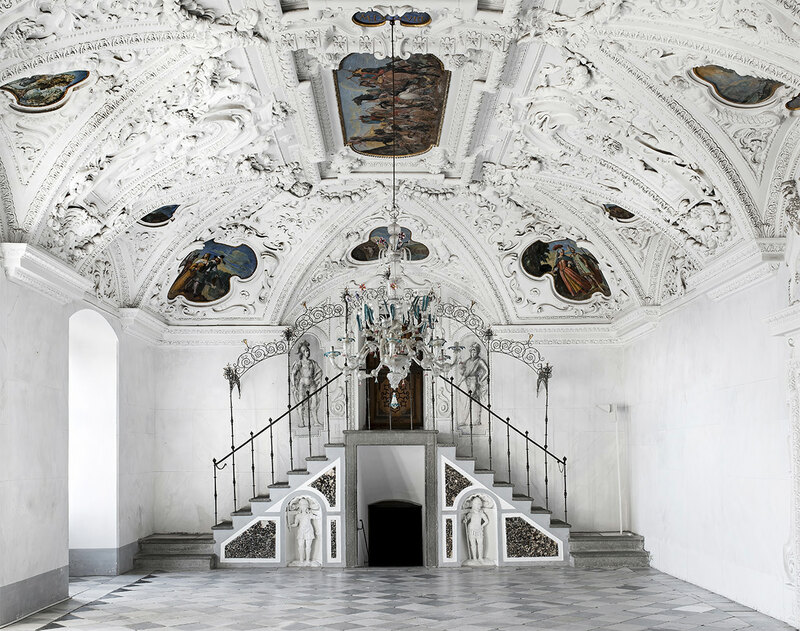 The Riegersburg is surrounded by three kilometres of walls with six gates and two trenches and it contains 108 rooms, the most beautiful of them probably the Baroque-style White Hall, already built by the Gallerin. During the 17th century, the Riegersburg lay in a troubled area, at times only 20 to 25 kilometres away from the border to the Ottoman Empire. As it was never taken by the Turks, General Count Raimondo Montecuccoli felt inclined to call it the "strongest fortress of Christianity". In time of war, the castle was a safe haven for the population of the surrounding areas as well as their livestock. After the Purgstalls of Riegersburg died out in male line in 1817, the inheritance was split between 17 people. 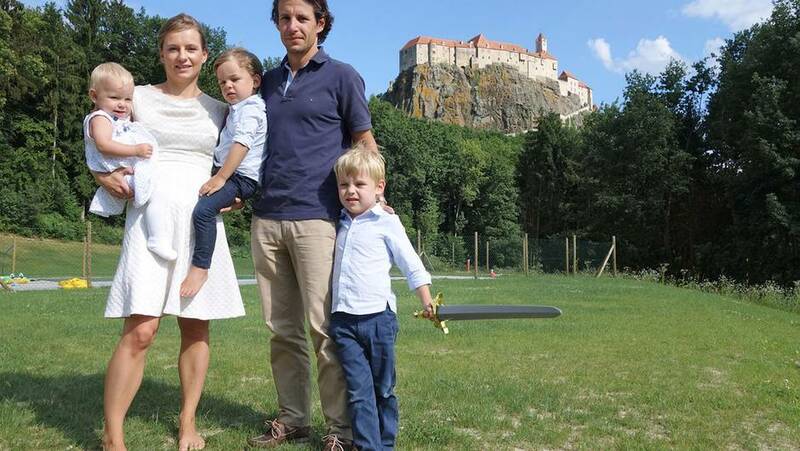 As dividing an inherited castle between 17 people probably isn't the easiest of things, the Riegersburg was sold in public auction five years later. And so, in 1822, Prince Johann I acquired the castle. Fast forward over 100 years: During the last weeks of the Second World War, the Riegersburg was badly damaged when the population of the nearby village of the same name and surrounding areas were brought to the castle. They were accompanied by the SS armoured division "Wiking" who was supposed to defend the Riegersburg from the Red Army. What followed was a tale of capture and recapture bringing heavy damage with them. After the end of the Second World War, the Princely Family returned to the Riegersburg and saved the castle from falling into ruins. These days, the castle is owned by Prince Emanuel, a second cousin once removed of Prince Hans-Adam II. The Riegersburg houses not one but three museums: a castle museum about its history, a arms museums, and a museum about witch persecution. In addition, there is a raptor centre. And to get there, you can literally climb the volcanic mountain, the Riegersburg is situation on, via two ferratas named for the two eldest children of Prince Emanuel, Leopold and Heinrich. Sadly, not much seems to be known about the tiara the Hereditary Princess wore for her pre-wedding ball apart from the obvious. The diamonds featured in the sparkler are set in a leafy, almost ferny, motif interspersed with a number of pearls. The Bavarian Pearl and Diamond Floral Tiara, as we are going to call it, dates back to (at least) Sophie's great-great-grandmother Queen Marie Therese of Bavaria (1849-1919), who regularly wore it when either painted or photographed. 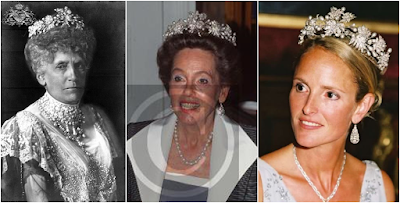 In more recent times, the tiara has been worn by Sophie's mother, Duchess Elizabeth in Bavaria, as well as Sophie's sister, Duchess Marie of Württemberg. The interview-loving Liechtensteins were at it again. Both Prince Hans Adam II and Hereditary Prince Alois gave their traditional interviews at the end of the year. While the Hereditary Prince Alois did so for the print media, see here for Vaterland's online article about it, the Fürst talked to TV station 1 FL TV. It seems there will be another TV interview by Hereditary Prince Alois in the coming days. 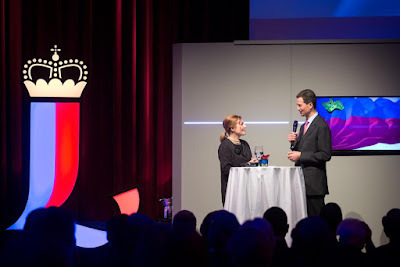 In the interviews thus far, both Liechtenstein royals talked about current affairs and the future of the Principality. The Order of the Oak Crown (known as Ordre de la Couronne de Chêne in French and as Orden der Eichenkrone in German) was created by royal and grand ducal decree tomorrow 174 years ago, on December 29, 1841, by King Willem II of the Netherlands, who was also Grand Duke of Luxembourg. The Order was founded by the King-Grand Duke as Luxembourg was in need of one. Only a few months prior, he had awarded Dutch orders to Luxembourgish citizens to merit their services. ﻿﻿There are several stories where the Order has its name from though no one knows, one says that Willem expressed his surprise about the blooming broom against the green of the Ösling forests (a region in Luxembourg). This origin would explain the choice of the ribbon colours, which are yellow-orange and dark green. 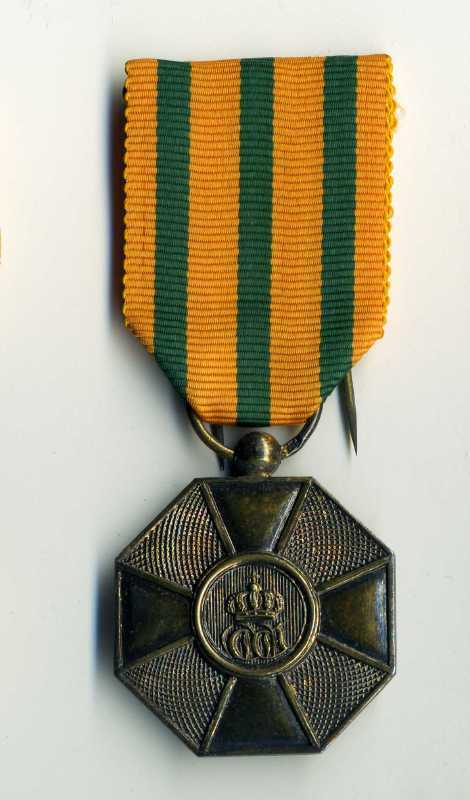 The design of the insignia itself, however, was greated influence by a foreign order, the Imperial Russian Order of St. George, which Tsar Alexander I had awarded to King Willem II after the Battle of Waterloo. Originally the Order of the Oak Crown had only four grades, but in 1858 several changes were made so that the Order nowadays consists of five grades (Grand Cross, Grand Officer, Commander, Officer and Knight). In addition, three medals were added to the Order (gold, which was replaced by a silver gilt one in 1872, silver and bronze) that same year. The Order's badge consists of a cross with four white arms which are edged in gold. The centre of the badge has a green medallion with a golden "W" for Willem surrounded by the grand ducal crown. The cross is identical in all classes except of the officer grade in which it bears golden oak leaves between its arms. The medals are of octagonal shape and feature the cross of the Order on their observe while there is the oak crown on the reverse. 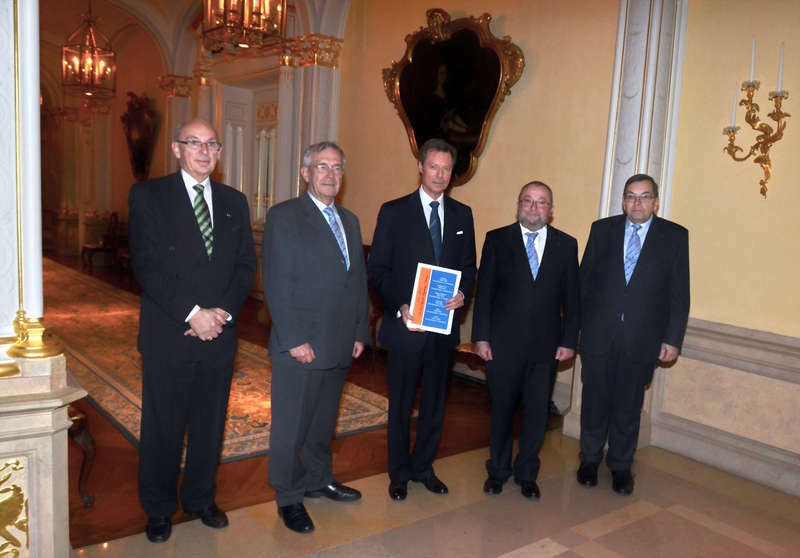 The Order of the Oak Crown is awarded for outstanding civil and military services by Luxembourgish citizens as well as achievements of distinguished artists. 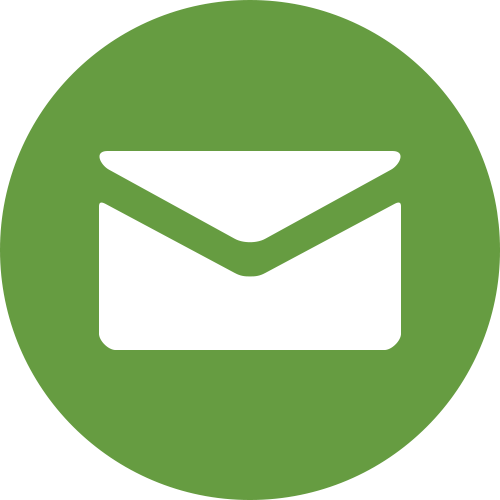 If it is awarded to foreign nationals, the approval of the proposed recipient's government is required. Like the other Luxembourgish orders, the Order of the Oak Crown is usually awarded on National Day. The Grand Duke awards it upon the recommendation and with the countersignature of the Minister of State, also known as the Prime Minister or to put it simply, the head of the government. The Order of the Oak Crown is the third highest order of Luxembourg, only outranked by the Order of the Gold Lion of the House of Nassau and the Order of Civil and Military Merit of Adolph of Nassau. During his Christmas interview, Grand Duke Henri told that he, the Grand Duchess as well as Hereditary Grand Duke Guillaume and Hereditary Grand Duchess Stéphanie have been visiting refugee hostels throughout the country during the past few weeks and months. These visits are not usually publicised and go on to show that there are royal engagements going on behind the scenes in Luxembourg that we usually hear nothing about. Hello again! Here's hoping you had a great Christmas weekend (or non-Christmas weekend) and that you've been enjoying our Christmas Luxarazzi 101 series thus far! Now for a short while, back to our regularly scheduled news: the Grand Duke's Christmas interview. Yes, Christmas interview. 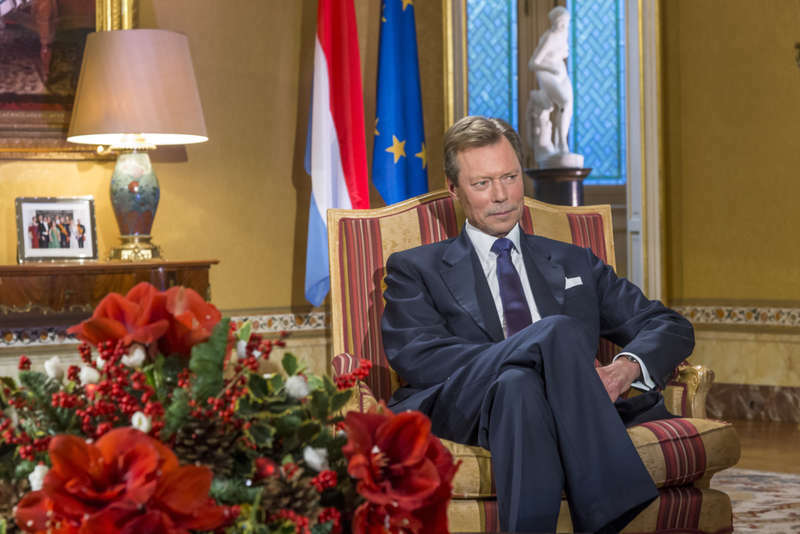 For the first time, Grand Duke Henri has given an interview instead of his traditional Christmas speech to the nation. The full interview can be watched on the cour's website, who also have a Luxembourgish transcription and a French translation. They also have a gallery of visuals. 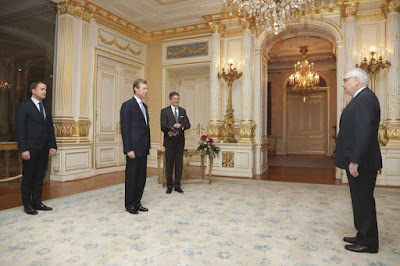 During the interview, the Grand Duke touched on a number of topics from politics to family matters. 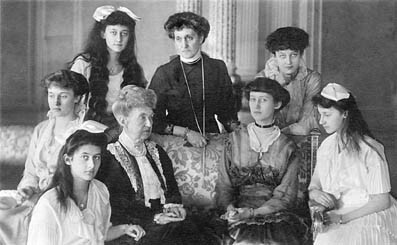 The six daughters of Grand Duke Wilhelm IV and Grand Duchess Maria Ana led privileged, but often difficult lives marred by circumstances of war, ill health, and the premature deaths in this close-knit family. Today we'll learn more about the life the fifth daughter, Elisabeth. 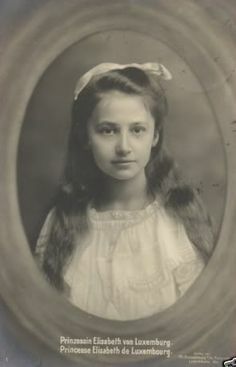 Elisabeth Marie Wilhelmine was born at Château de Berg on March 7, 1901. Little Elisabeth, called "Lissi" by her family, was born during the reign of her grandfather, Grand Duke Adolph. She joined her older sisters Marie-Adélaïde, Charlotte, Hilda, and Antonia in the nursery. A year later, the family was complete with the birth of youngest daughter Sophie. Little Elisabeth was baptized four days after her birth, with her maternal aunt the Duchess of San Jaime, née Infanta Maria das Neves of Portugal, as godmother. At the time of their marriage, Wilhelm and Maria Ana and the Pope, who needed to give the necessary dispensation for them to marry, agreed that all of the sons born to them would be raised with their father's Lutheran faith, while the girls would become Catholics like their mother. As such, Elisabeth and her sisters were raised as Catholics, like the majority of the subjects in the Grand Duchy. Elisabeth spent her early childhood mostly at the Château de Berg and Schloss Hohenberg in Bavaria. Although all of Grand Duke Wilhelm's daughters were very close, Elisabeth and Sophie were particularly attached to one another as they were similar in age. The six sisters were raised in a somewhat isolated environment with very little interaction with outsiders. Their lives were centered around family and their lessons. Elisabeth and her siblings enjoyed their rare ventures outside the palace, such as distributing presents to local children at Christmastime. The Grand Duke's debilitating stroke occurred when Elisabeth was five, casting a shadow over the life of the family for the next seven years. As Wilhelm's health gradually declined, Maria Ana's time was increasingly devoted to her duties as regent of the Grand Duchy and caring for her sick husband. Elisabeth and her sisters were then placed largely under the care of their paternal grandmother, Grand Duchess Adelheid-Marie. The Grand Ducal Family was in residence at Château de Berg when Grand Duke Wilhelm died on February 25, 1912. Maria Ana continued on as regent during the last few months of Grand Duchess Marie-Adélaïde's minority. Elisabeth and her family lived at Berg throughout Marie-Adélaïde's reign and during the German occupation of the country in World War I. Following Grand Duchess Charlotte's ascension and marriage in 1919, Elisabeth spent a lot of time with her mother and sisters Antonia, Sophie and Hilda at Schloss Hohenburg in Bavaria. She also accompanied Marie-Adélaïde and their mother to Modena when the former entered a convent there in September 1920. Following the marriages of her sisters Antonia and Sophie in 1921, Elisabeth married Prince Ludwig Philipp of Thurn und Taxis on November 14, 1922, at Schloss Hohenburg. Ludwig Philipp was the third surviving son of Albert, 8th Prince of Thurn and Taxis and his wife Margarethe Klementine, an Austrian archduchess. Elisabeth and Ludwig Philipp were a love match and did not refrain from showing open affection, much to the dislike of Lissi's oldest sister, Marie-Adélaïde. 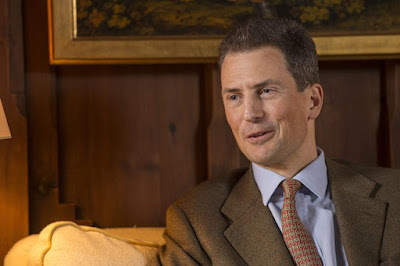 Prince Ludwig Philipp had studied law at the Julius Maximilian University of Würzburg and was a member of one of the wealthiest and - despite only being nobles and not reigning royals - best connected families of Europe. The couple made their home at Schloss Niederaichbach in Bavaria where they raised their two children, Prince Anselm (1924-1944) and Princess Iniga (1925-2008), the great-grandmother of Princess Theresa d'Orléans, née von Einsiedel, whose wedding you might recall. However, the family's happiness was to be short-lived. Ludwig Philipp died suddenly on April 22, 1933, at Niederaichbach from complications of a cardiac insufficiency. At the time of his death, he was only 32 years old. A devastated Elisabeth devoted herself to caring for her children and moving on as best as she could. Over time, she devoted herself more and more to her faith and became a philanthropist caring for the sick and disabled. At the outbreak of World War II in 1939, Elisabeth found herself cut off from the majority of her family. Eldest sister Marie-Adélaïde had died in 1924. 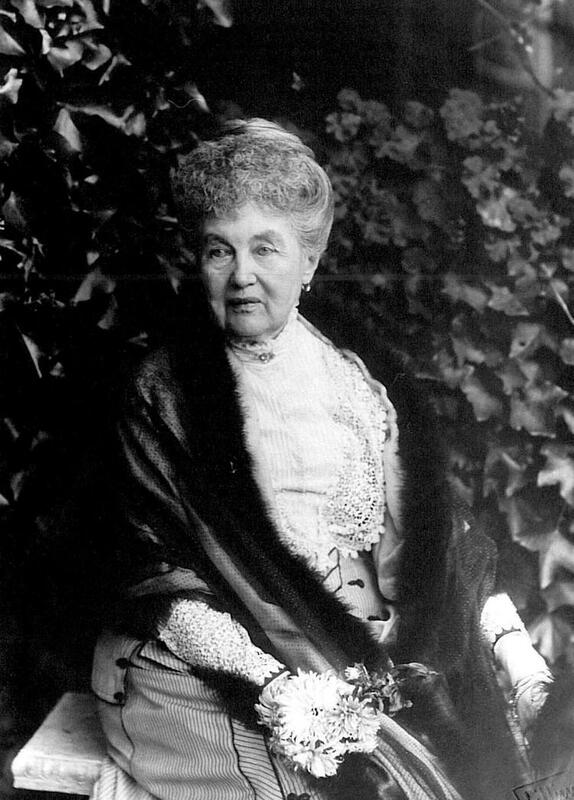 Her mother, Grand Duchess Maria Ana, accompanied Grand Duchess Charlotte and her family into exile to the United States and later Canada; sister Hilda and her husband also went to the U.S., while Antonia and her family were exiled to Italy, Hungary, and later were imprisoned in Sachsenhausen and Dachau concentration camps. Elisabeth could correspond with her younger sister Sophie in Saxony, but Sophie died following a bout of pneumonia in May 1941. After Sophie's death, Elisabeth rushed to Saxony to be by her brother-in-law's and nephew's sides in this time of struggle. Following the death of her beloved younger sister, Elisabeth was to face further loss. Grand Duchess Maria Ana died in the United States in July 1942, several years after she'd last seen her daughter Elisabeth. She was initially buried in a New York City cemetery due to the ongoing war and the inability to transport her remains to the family crypt. A final cruel blow came in February 1944, when her son Anselm died at age 19 while fighting in the Ukraine. Only a few months early, he had been drafted into the German military despite the Thurn und Taxis' dislike for Hitler and his party. He was killed by an explosive device in Solotaia-Balka in western Ukraine. The end of World War II meant the return of Elisabeth's surviving sisters. Elisabeth's health had become very delicate in the meantime, as did that of her sister Antonia, who had spent some time in a concentration camp. The end of the 1940s brought some much-needed happiness to Elisabeth's life. Her daughter Iniga married Eberhard of Urach in 1948; she gave birth the following year to Amelie, Elisabeth's first grandchild. Already in 1946, Princess Elisabeth had been able to return to Luxembourg for the first time in many years. Many visits followed, often times with an array of gifts accompanying her. However, Elisabeth's happiness was not long-lived. She was taken ill at Hohenberg in late July of 1950, on the way back from celebrating the diamond wedding anniversary of Ludwig Philipp's parents. Elisabeth's sisters Hilda and Charlotte were able to make it to her bedside at Hohenburg to say their goodbyes. Elisabeth died on August 2, 1950 at the age of 49, the third of the daughters of Wilhelm IV to die. 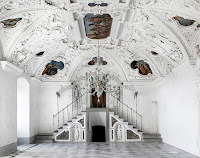 She was buried beside Ludwig Philipp in the Thurn and Taxis family crypt at Schloss St. Emmeram in Regensburg. Did you know that it is not Santa Claus, Father Christmas or someone else with a name along these lines who brings the Christmas presents to both Luxembourg and Liechtenstein? No, it is the Chrëschtkand (or Chrëschtkëndchen) in the Grand Duchy and the Christkind in the Principality. Back during the Middle Ages, presents weren't actually given on Christmas Day (or Christmas Eve, another tradition of the German-speaking countries) but either on December 6, St. Nicholas' Day, or on December 28, the Holy Innocents' Day remembering the massacre of the innocent children. Martin Luther, however, opposed the Catholics' veneration of saints and thus Saint Nicholas. Thus he moved the day of the gift giving to December 24, Christmas Eve, and encouraged for the gift bringer to be the Christkind (or that's what they say, there's no actual prove). It, however, quickly spread throughout the Protestant areas especially of Germany. But sometime during the 19th century things changed: While Catholics in Germany and other German-speaking countries also started to adopt the Christkind as their gift bringer, many Protestant regions turned to the Weihnachtsmann, a figure very much along the lines of Santa Claus and Father Christmas and thus a secularised version of St. Nicholas. While in the day and age of a famous soft drink company and their old man in a red-and-white-suit, the Christkind, a figure you can't see in person and that will not come and bring presents if you are too curious and try to spot it, has tough competition, it is still the primary gift bringer in Catholic regions of Germany and many other German-speaking countries such as Luxembourg and Liechtenstein. And this is how it all happens on Christmas Eve: A family either enters the living room, where the Christmas tree has been put up, for the opening of presents when the parents say that they think that the Christkind / Chrëschtkand, who has brought the presents, has left again, or, in some traditions, the departure is announced by the ringing of a small bell, which the parents pretend to have heard or which is secretly done by one of the adults in the family. schéi Chrëschtdeeg and frohe Weihnachten! a Luxarazzi 101 for you on each of the 12 days of Christmas. Hereditary Princess Sophie concluded her Christmas visits to the Principality's hospital and different retirement homes with another two visits to the St. Theodul home for the elderly in Triesenberg as well as to the St. Florin home in Vaduz on Thursday last week. As she had done for previous visits, the Hereditary Princess spent some time with the elderly and also presented them with little gifts. 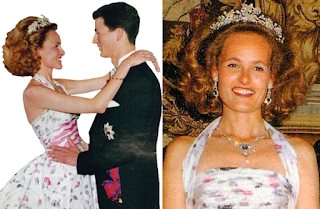 Today it's time to branch out a little with our Liechtenstein coverage to another line of the Princely Family we don't talk much about. Prince Emanuel is a second cousin once removed of Prince Hans-Adam II and the owner of the Riegersburg, a medieval castle situated above the town of Riegersburg in the Austrian state of Styria. He and his family, meaning his wife Princess Sonja, their children Leopold, Heinrich and Charlotte as well as his mother Princess Annemarie, were featured in a TV show called Cuisine Royale by German-French TV station Arte. As the name suggests, Cuisine Royale is a royal cooking show as the series visits different castles and their kitchens and the owners of the castles have a chef preparing a special dinner with local products. In addition, the show also gives a little insights into the lives and, of course, castles of the royals and nobles featured in it. Prince Rudolf and his Turkish-born wife Princess Tılsım, the daughter of a wealthy businessman, married in Istanbul in 2012. Since then, we saw them in public a few times, for example late last year, or for the wedding of Prince Félix and Princess Claire. Apart from these occasional sightings, the couple lives a very private life and I don't think it had been publicly known that they had a daughter. Our thoughts and prayers are with them after these horrific and sad news. 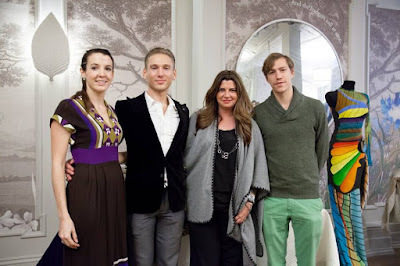 Back in November, Prince Louis and Princess Tessy were out and about in London attending the couture fashion show room presentation "In your wildest dreams" featuring designs by Marcin Lobacz. The event took place on November 11 at the Clarendon Room at Brown's Hotel and celebrated the feast day of Saint Martin of Tours. More pictures on the designer's Facebook page. There's a cabinet reshuffle going on at the moment in Luxembourg and today saw the protocolar string of events that traditionally follow. Two days ago, Maggy Nagel resigned as Minister for Housing and Minister for Culture. And so today, Grand Duke Henri received several politicians in audience, starting with Marc Hansen, thus far State Secretary and now Minister for Housing. This was followed by a farewell audience for Maggy Nagel herself, during which she was awarded with the Civil and Military Order of Merit of Adolph of Nassau. While Prime Minister Xavier Bettel himself will take over the role as Minister of Culture, a new state secretary was named for his state ministry. Guy Arendt has taken on the position and was sworn in by the Grand Duke today. More pictures of the several audiences at the cour. 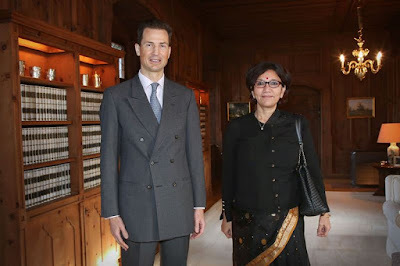 Today, Grand Duke Henri and Grand Duchess Maria Teresa received in audience Ensaf Haidar, the wife of Saudi blogger Raif Badawi. Badawi was first arrested in 2012 of using the internet to insult Islam, and he was convicted in 2013; in 2014, his original sentence was increased 10 years in prison and 1,000 lashes, in addition to a fine. Today also coincides with the conference "Le Prix Sakharov 2015 pour le bloggeur saoudien Riaf Badavi. La liberté d’expression en danger?" ("The Sakharov Prize 2015 for the Saudi Blogger Raif Badawi. 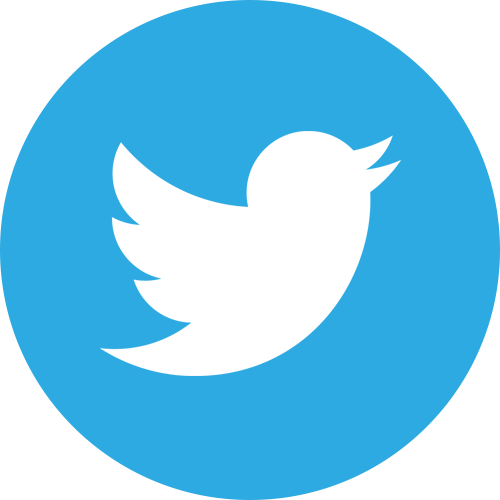 Freedom of Expression in Danger? "), organized jointly by Amnesty International (which has actively spoken out against Badawi's arrest and punishment) and the European Parliament Information Office in Luxembourg. Ensaf Haidar, who fled to Canada after facing threats of her own in Saudi Arabia, is in Luxembourg to attend the conference. A photo of the audience will be added if/when it's made available. Photos, as well as an interview, at Tageblatt. 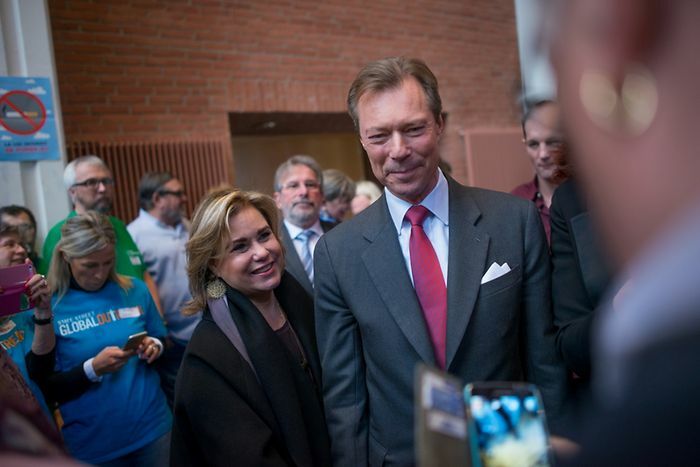 Grand Duke Henri and Grand Duchess Maria Teresa joined a Christmas luncheon hosted by Stëmm vun der Strooss (Voice of the Street) at the Bonnevoie cultural centre around noon today. The humanitarian organisation has been organising the luncheon for the homeless and poor, asylum seekers, ex-prisoners, drug addicts, people suffering from mental illnesses and other people who are socially vulnerable and might not have anybody to spend Christmas for many years. The event is financed by donations from various companies and also includes Christmas presents for those in need. It's the second time members of the Grand Ducal Family have joined the luncheon after 2013, when we also saw Prince Louis and Princess Tessy in addition to the Grand Ducal couple. Pictures of today at Le Quotidien and Wort. During the past couple of days, Hereditary Princess Sophie kept busy making the traditional pre-Christmas visits to the Landesspital hospital in Vaduz as well as different retirement homes throughout Liechtenstein. On Friday last week, she visited the Landesspital followed by visits to the retirement homes St. Mamertus in Triesen and Altersheim Schlossgarten in Balzers on Monday. On Wednesday, she paid a visit to the elderly living in St. Laurentius in Schaan as well as St. Martin in Eschen. During her visits the Hereditary Princess spent time with the patients and residents and presented them with little gifts. This tradition of the ladies of the Princely Family visiting the hospital and retirement homes prior to Christmas has existed for many, many years. 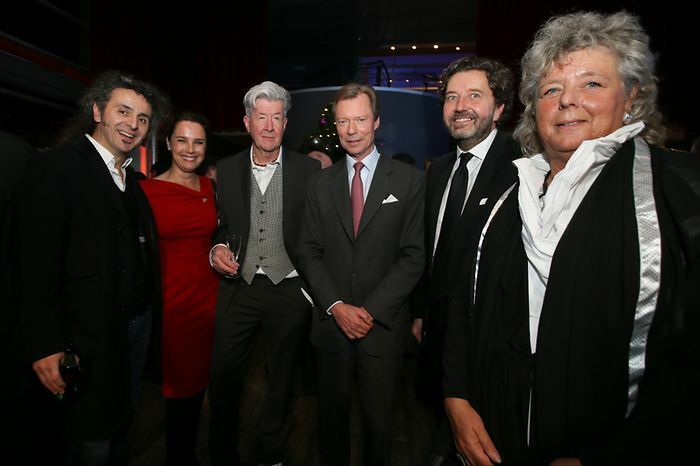 On Wednesday evening, Grand Duke Henri attended the charity concert "Lëtzebuerger Kënschtler fir Flüchtligen" at the Philharmonie in Kirchberg. The proceeds of the concert will go toward supporting the needs of migrants as they begin the process of integrating into life in Luxembourg. Specifically, the concert will support the efforts of ASTI, Caritas, and the Red Cross as they reach out to the new arrivals in the Grand Duchy. Artists of the Luxembourg Philharmonie Orchestra played, in addition to other musicians who volunteered their talents for the event. These include saxophonist Maxime Bender, organist/pianist Maurice Clement, Czech-born pianist, Josef Bulva, and bass-player Marc Demuth, among many others. See the concert link above for the full list of performers. No photos just yet. They'll be added if the show up. More photos of the event at Wort. On Sunday evening, Princess Marie and Hereditary Princess Sophie attended a podium concert at the Town Hall in Vaduz. The purpose of this event, which was organized by the prize winners from previous podium concerts (such as here), was to Lotte Schwarz, an early founder of the podium concert program in 2003, who passed away recently. 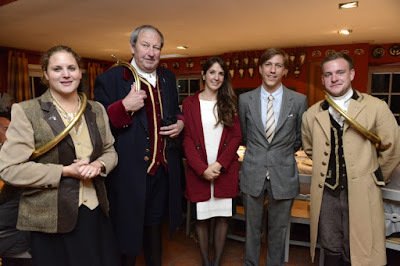 The motto of this event, as presented by Maestro Graziano Mandozzi, was "Tu was Gutes und rede darüber – es könnte ansteckend sein" (or "Do what is good and talk about it -- it might be contagious.") Ten musicians who have previously won prizes in the podium concert series were there to perform for the tribute to Lotte Schwarz. 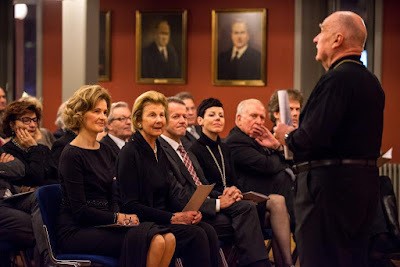 Hereditary Princess Sophie is also a patron of the podium concerts. A little more information about the event, as well as the accomplishments of many of the prize-winning artists, at Vaterland. There's a new Maréchal de la Cour in town. Or there will be, that is. Today, Grand Duke Henri appointed Lucien Weiler to the role, replacing Pierre Bley who will officially resign as of December 31st. (As some might remember, Bley was appointed to the role after Pierre Mores resigned during the summer of 2013.) The new Court Marshal will assume his duties as of January 4, 2016. Lucien Weiler is a lawyer by profession and was President of the Chambre des Députés during the years 2004-2009. He was also an active member of the Chambre des Députés from 1984 until 2013, and the Cour has noted his active commitment to public service in making this appointment. Either totally missed by us or not very well communicated by the cour, Hereditary Grand Duke Guillaume and Hereditary Grand Duchess Stéphanie visited the jeweller Goedert back on November 20. Mind you, not to shop some early Christmas presents but to learn more about the work and production process of the jeweller. 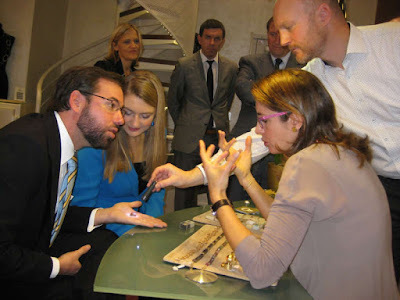 Both Guillaume and Stéphanie apparently also got the chance to craft some jewels themselves. Their visit was organised as part of the series of visits the Hereditary Grand Duke makes this year in coordination with the Chambre des Métiers to learn more about Luxembourg's businesses. And you know what? Looking at Goedert's designs, I can't help but wonder whether some of the more modern jewellery of the ladies of the Grand Ducal Family - I'm looking at your's in particular, Maria Teresa - is indeed made by them. 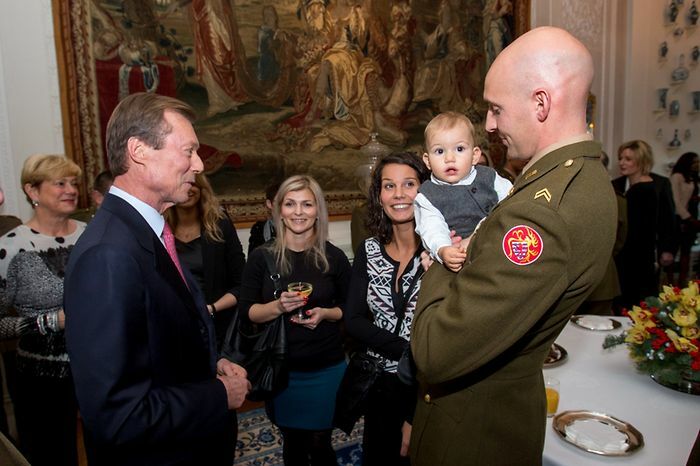 Yesterday it was time for the Grand Ducal Family's annual pre-Christmas reception for members of Luxembourg's army and police force who took part in humanitarian and peacekeeping missions abroad. For example, the Luxembourgish forces are involved in NATO's Kosovo Force (KFOR) and the International Security Assistance Force (ISAF) for Afghanistan. The reception, which has been held each year since 2002, traditionally takes place at the Château de Berg, the Grand Duke's official private residence. Policemen and soldiers who have taken part in either of the two above mentioned missions in Kosovo and Afghanistan or others as well as their wives, girlfriends, children, parents and basically everyone they want to bring along are invited to attend. 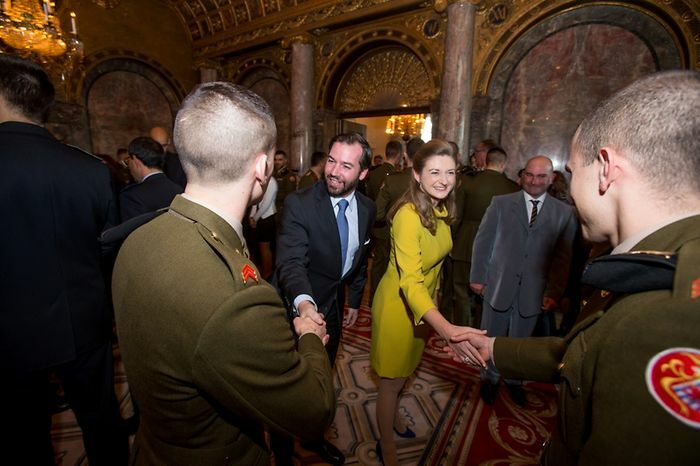 During the reception they all got the chance to to greet, chat and mingle with Grand Duke Henri as well as Hereditary Grand Duke Guillaume and Hereditary Grand Duchess Stéphanie. Also present for the event were Minister Etienne Schneider and state secretary Francine Closener. Pictures at Wort, the cour and Le Quotidien. Let's talk about wall of diamonds if there ever was one, one to rival Luxembourg's Empire Tiara and any other diamond wall out there. For lack of any official or semi-official name, we are going to call this Princess Franziska's Diamond Tiara - and that sums up pretty much all the information we have about it. 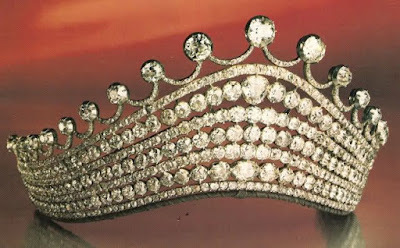 The tiara featuring an undisclosed yet obviously large number of quite large diamonds set in silver was a gift to Countess Franziska of Wrbna and Freudenthal (1799-1863) by her husband Prince Karl of Liechtenstein (1790-1865). The couple had nine children, two of them sons. However, neither of their sons married and died without legitimate issue. Whether the tiara was given to another branch of the Liechtenstein family or to one of Princess Franziska's daughters - four of them had respectively married into the Trauttmansdorff, Salm-Reifferscheidt, Arenberg and Kinsky families and had descendants - remains a mystery. The only thing we know about the whereabouts of the tiara is that it was sold in 1982 at Sotheby's auction in Geneva for 300,000 Swiss francs. So it doesn't still seem to be with the Princely Family - and thus the question of when a wall of diamonds is simply too big to be worn will probably be forever remain unanswered. Yesterday, Prince Georg von Waldburg zu Zeil and Trauchburg was laid to rest at the cemetery of the St. Maria parish church of Schloss Zeil in Leutkirch im Allgäu in southern Germany with the requiem taking place at the St. Verena parish church in nearby Bad Wurzach. Fürst Georg, the head of the Zeil branch of the Princely House of Waldburg, had died on December 2 at the age of 87. He is survived by his wife née Princess Marie-Gabrielle of Bavaria and their six children. The mourners at the Prince of Waldburg-Zeil's funeral included Grand Duke Henri and his sister Archduchess Marie-Astrid and her husband Archduke Carl-Christian of Austria as well as Prince Hans-Adam II and Princess Marie. 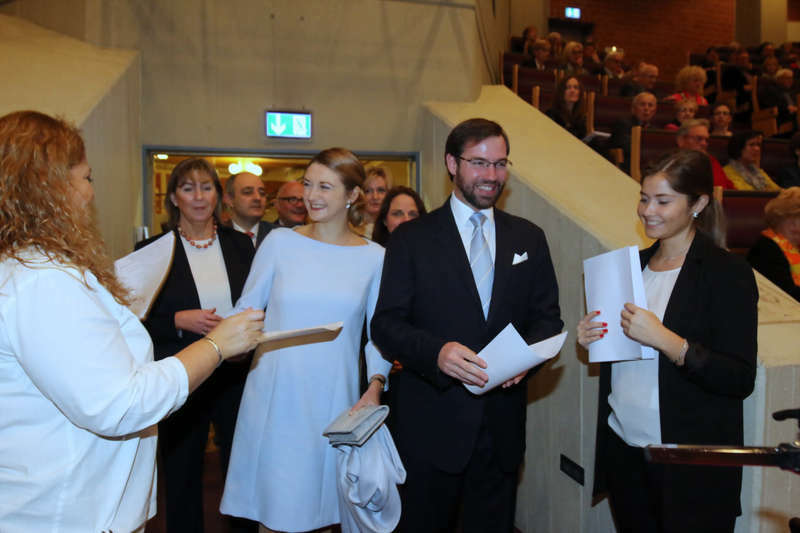 Also in attendance were Hereditary Prince Alois and Hereditary Princess Sophie, who is a niece of the deceased. 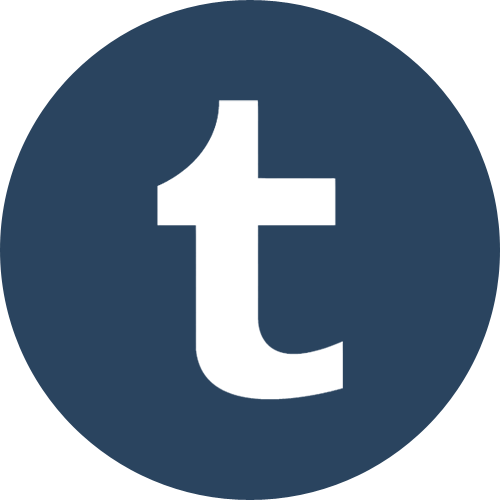 FYI, Stefan of Royal Travel will have a report about the funeral on his blog coming up soon so make sure to check back for that! 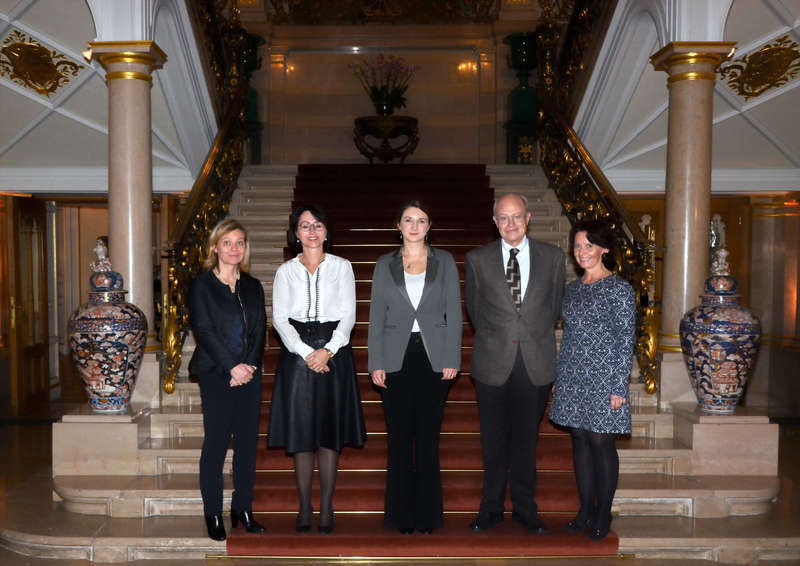 Also on Wednesday, December 9th, Hereditary Grand Duchess Stéphanie received the Board of Directors for Les Amis des Musées d’Art et d’Histoire Luxembourg. Stéphanie has been patron of this organization since March of 2013. The audience reflects a change in the Board of Directors, with Marie-Françoise Glaesener leaving as president (after 12 years in that role, and 35 years total in support of Les Amis) and Florence Reckinger assuming the position in her stead. A little more information at the Cour website. 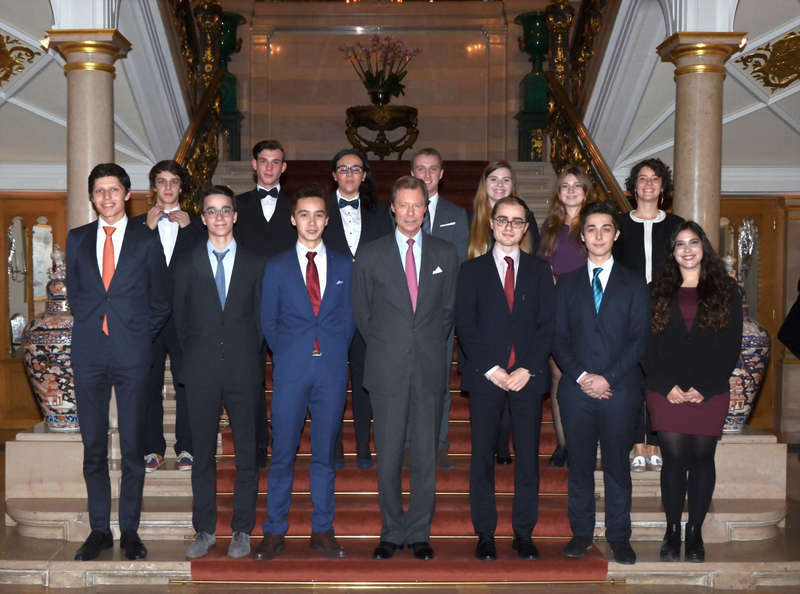 On Wednesday (December 9th), Grand Duke Henri received in audience a delegation from the Comité Alstad, to mark the 125th anniversary of Grand Duke Adoph's swearing-in before the Chambre des Députés. To brush up on the history of this event, see this Luxarazzi 101 link. As part of the 125th anniversary, the Comité Alstad has commissioned portraits of six Luxembourg heads of state: Grand Duke Adolph, Grand Duke Guillaume, Grand Duchess Marie-Adelaide, Grand Duchess Charlotte, Grand Duke Jean and Grand Duke Henri. These portraits will be sold, with the proceeds going to benefit the Foundation of the Grand Duke and the Grand Duchess. 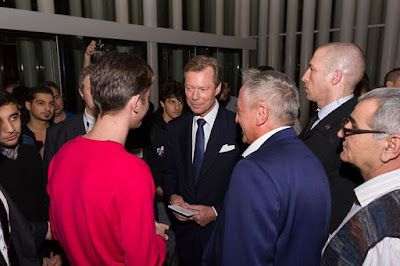 On Wednesday, Grand Duke Henri was at the Philharmonie in Kirchberg to attend the closing ceremony for the European Year of Development 2015. This event is part of a larger program of sustainable development implemented by the European Union, with the goal of reaching the stated agenda by the year 2030. Prime Minister Xavier Bettel was also in attendance. During the event, awards were presented to winners of the video contest "Shining Stars of Europe," a competition announced at the opening ceremony of the European Year of Development 2015 back on January 9th. A little more information from the Ministry of Foreign Affairs of Latvia (as that country's Foreign Ministry’s Parliamentary State Secretary for EU Affairs, Zanda Kalniņa-Lukaševica, spoke at the event). 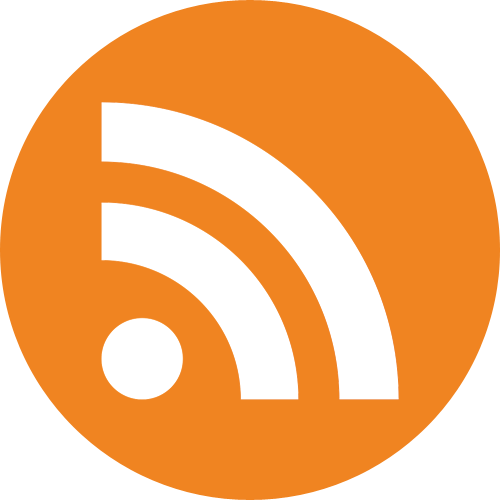 The Cour website has been updated with more Luxembourg-specific information. No photos of Grand Duke Henri just yet, but they'll be added as soon as they're made available. Already in late November and missed by us after we covered the visit of the Deputy Secretary-General of the United Nations, Liechtenstein celebrated the 25th anniversary of the country joining the United Nations. The event in Schaan was attended by Hereditary Prince Alois among many others. Pictures of the celebrations at Vaterland, a video at 1 FL TV. Liechtenstein became a member of the UN in 1990 after refraining from joining the international organisation for decades, both due to internal and external views. 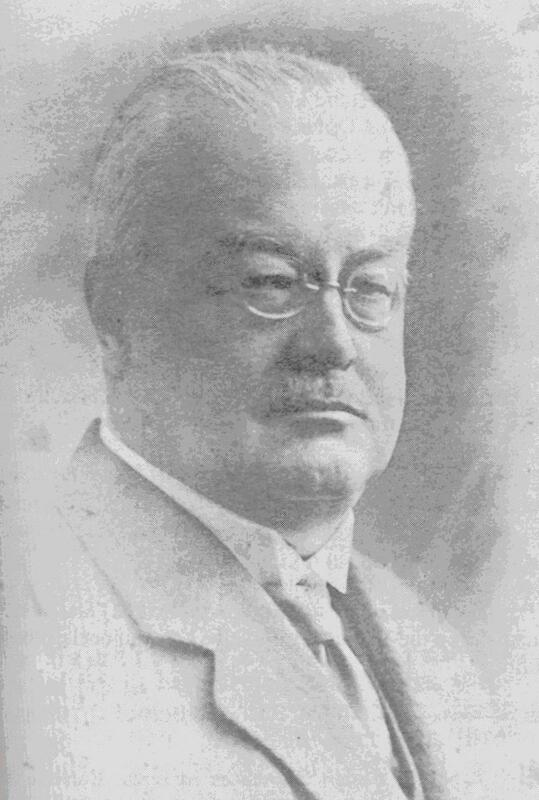 Prince Hans-Adam II was the main force behind the Principality joining the organisation, many years against the expressed wishes of the country's leading politicians. The Prince's 1970 so-called Rucksackrede is today considered one of the most important in Liechtenstein's history, leading to a change in both foreign and economic policies. Literally meaning "backpack speech", then Hereditary Prince Hans-Adam called for Liechtenstein to leave Switzerland's backpack, become a fully sovereign state and join international organisations. In their capacities as presidents of their nations' respective Red Cross organisations, Grand Duchess Maria Teresa and Hereditary Princess Sophie were among the attendants of the first day of the 32nd International Conference of the Red Cross and Red Crescent. Both were accompanied by national delegations. 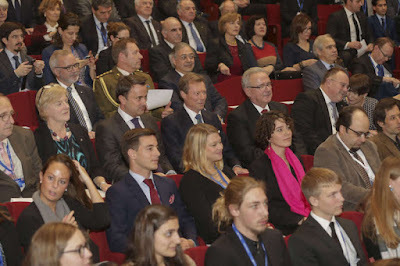 Crown Princess Margarita of Romania was equally present (and pictured above) at the event in Geneva. During a speech to the assembly, Grand Duchess Maria Teresa stated, "We cannot afford anymore to bypass women in the peacemaking processes, in the elaboration of peace treaties and in the policy making on prevention or prosecution of sexual and gender-based violence". "I want us to go beyond conventional images of women as victims of war and consider the important inputs a woman can contribute to translate individual grievances into legitimate social concerns", she added. 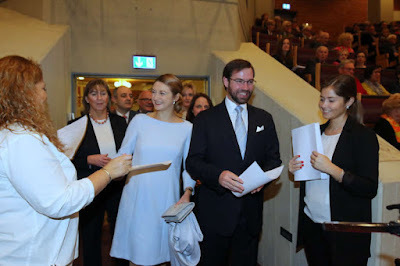 Earlier this evening, Hereditary Grand Duke Guillaume and Hereditary Grand Duchess Stéphanie assissted at a charity concert for the children of international protection seekers and refugees. Hosted by the city of Luxembourg and organised by the Luxembourgish Army, the Luxembourg City Tourist Office (LCTO), the Amis de la Musique Militaire non-profit organisation and the Conservatoire de la Ville de Luxembourg, the charity concert was also attended by Deputy Prime Minister Étienne Schneider, the Minister for Family and Integration Corinne Cahen, and the mayor of the Luxembourg, Lydie Polfer. As every so often: No pictures as of yet, I believe, but we'll add them if any become available. Pictures are now available at the cour and Manuel Dias. Today, Grand Duke Henri was present at the 25th anniversary celebration for Film Fund Luxembourg at Utopolis in Kirchberg. Prime Minister Xavier Bettel was also present at the event, having tweeted his congratulations to the organization earlier in the day. Director Guy Daleiden spoke about how the Film Fund was an important part of setting Luxembourg apart internationally and offering the film world a glimpse of what makes Luxembourg unique. A little more information about the event at Tageblatt and more photos and information at Wort. 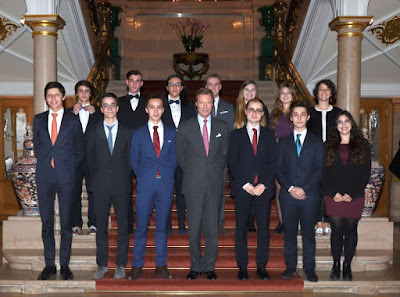 Earlier today, Grand Duke Henri received in audience a delegation from the Youth Parliament, as well as representatives from the Jugendkonferenz (Youth Conference). The Youth Parliament, founded in July of 2008, enables young people to dialogue about social rights and engage with important social issues. The Youth Parliament is operated by around 150 volunteers, all between the ages of 14 and 24. Additionally, the Youth Parliament encourages the participation of young women in politics and social issues. 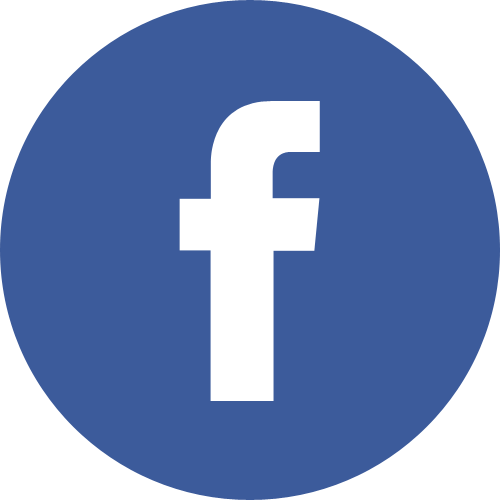 The Jugendkonferez was founded in 1960, alongside other youth organizations in Europe, and aims to get young people involved in society by engaging with youth-specific topics. A picture at the cour. The reorganisation of the social system, the end of the scattergun approach, the advance of the educational system, the overcoming of the refugee crisis, the unbundling of church and state - these are some of the topics Hereditary Prince Alois talked about in an interview to Liezeit. 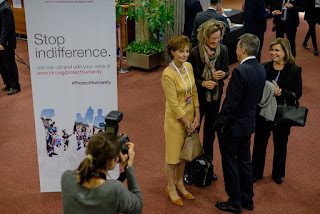 Parts of the interview about the future of the Principality are available online here. 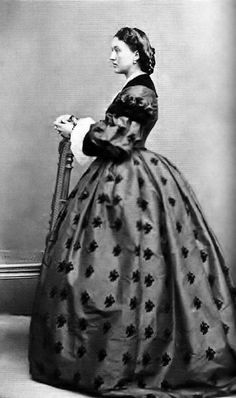 Today's featured historical member of the Grand Ducal Family was not destined for life as a Grand Duchess. But a fortuitous marriage, war and the loss of a duchy gave Luxembourg the matriarch of its current dynasty - as well as the founder of an artistic award still given today. Adelheid-Marie was the eldest of three daughters of Prince Friedrich August of Anhalt-Dessau and the former Princess Marie Luise of Hesse-Kassel. She was born on December 25, 1833, in the city of Dessau. Adelheid-Marie had two younger sisters: Bathildis, who married into the Schaumburg-Lippe family, and Hilda, who did not marry. 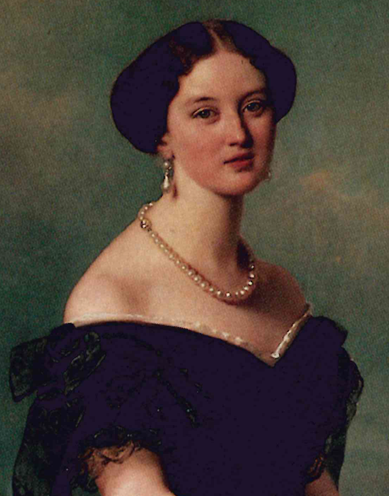 Adelheid-Marie was a maternal niece of Louise of Hesse-Kassel, the wife of Christian IX of Denmark. This made Adelheid-Marie a cousin of Alexandra of Denmark, consort of Edward VII of Great Britain. As the niece of Leopold IV, Duke of Anhalt, Adelheid-Marie grew up at court in Dessau. During her childhood, she developed a distinct talent for painting that later turned into a passion. She also spent a significant amount of time at Schloss Rumpenheim, the seat of the Hesse-Kassel family. 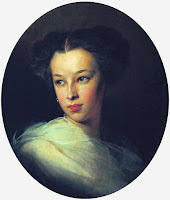 It was at Rumpenheim that 15-year-old Adelheid-Marie is believed to have first met her future husband in 1849. Duke Adolph of Nassau had been widowed a few years earlier after the unfortunate death of his wife, Elizabeth Mikhailovna of Russia, following the birth of a stillborn daughter. Adelheid-Marie married Adolph at Dessau on April 23, 1851, upon which time she became the Duchess of Nassau. Queen Victoria sent a letter congratulating the couple on their marriage. Adelheid-Marie and Adolph honeymooned at palaces in Oranienstein and Königstein im Taunus, two of the seats of the House of Nassau. Oranienstein later became the couple's first summer home. During the early years of Adolph and Adelheid-Marie's marriage, the couple apparently had a difficult time time adjusting to married life together, not least due to their fourteen year age difference. Queen Victoria, considering wives for the son, the Prince of Wales, and chosing not to consider Adelheid-Marie's sister Hilda, once described , "the Duchess of Nassau - the eldest sister - at one time a very bad wife". How much of it is actually true and how much is based on Adelheid-Marie's mother-in-law disliking to be replaced as the woman of the house, remains unknown. One of the oldest tiaras in the grand ducal family is believed to have been part of the (wedding) trousseau of Adelheid-Marie. The Grand Duchess Adelaide Tiara has been worn consistently by Adelheid-Marie's descendants since her time and is still one of the most frequently seen tiaras in the family collection. Tragically, only the oldest and youngest of Adelheid-Marie's children survived into adulthood. Eldest son Guillaume succeeded his father as Grand Duke of Luxembourg, while their surviving daughter and youngest child Hilda married Friedrich II, the last Grand Duke of Baden. Both their son Friedrich and their daughter Marie died in infancy, while their son Franz Josef died of scarlet fever during his military training. Adolph had acquired a villa near Königstein in 1858, which he gave to his wife as a gift. In 1861, Adolph lost the use of Schloss Oranienstein due to a dispute with the parliamant of the Duchy of Nassau, and the villa became the family's new summer home. The house later became known as the Luxemburger Schloss (Luxembourg Palace) following Adolph's accession as Grand Duke. Adelheid-Marie was so fond of palace in Königstein that she ordered an extension on the house in the late 1860s. Adelheid-Marie took an active interest in Königstein and its citizens with whom she was very popular. Adelheidstraße in Königstein is a street named in her honor. 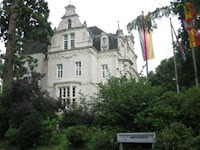 Today the Luxemburger Schloss is used by the Königstein district court. The Austro-Prussian War in 1866 changed the life of Adelheid-Marie and her family dramatically. Adolph sided with the Austro-Hungarian Empire in the skirmish. After Austria's defeat, Prussia assumed control over the Duchy of Nassau from Adolph. This action more or less forced the family into exile from the duchy to Vienna, Frankfurt and Schloss Hohenburg in Bavaria. Adolph signed an agreement in 1867 that gave him ownership of some of his former homes, including Luxembourg Palace. As Adolph indulged his passion for hunting, Adelheid-Marie spent their "exile" caring for their children, receiving other royal and noble guests, and painting. Her works were often sold to benefit various organizations patronized by Adelheid-Marie, particularly those dedicated to nursing. In the late 1880s Adelheid-Marie painted flowers on the pulpit of an evangelical church in Königstein. She had significant involvement in the building and decoration of the church, donating the land for its construction as well as providing decor for the interiors. Many of her paintings are still in the possession of the Grand Ducal Family, hanging in the Château de Berg but also in some of the former ducal castles in what today is the German state of Hesse. In addition to her passion for painting, Adelheid-Marie was also an accomplished rider. Following Adolph's death in 1905, Adelheid-Marie split her time between Königstein and Luxembourg. She received frequent visits from her daughter Hilda, with whom she was quite close. Adelheid-Marie was also devoted to her six granddaughters, the oldest of whom - the future Grand Duchess Marie-Adelaide - was her namesake. Adelheid-Marie helped care for them during the long illness of Grand Duke Wilhelm (of Guillaume) IV. Adelheid-Marie took a particular interest in the girls' artistic education, giving them drawing and painting instruction herself. Adelheid-Marie died on November 24, 1916, at her home in Königstein im Taunus. She was 82 years old. She is buried along with her husband and son in the Nassau ducal crypt at Schlosskirche in Weilburg.